Robert Scheb practices in the areas of estate planning, guardianship, probate and corporate law. He received his undergraduate degree from the University of Florida, his law degree from Stetson University College of Law and was admitted to the Florida Bar in 1984. 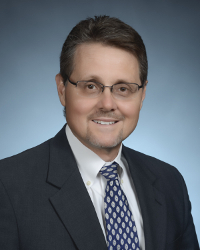 He has served on the Florida Bar Probate Rules Committee and has been a participating author of the Florida Bar Guardianship Practice Manual for the past seven editions. Mr. Scheb has served as Director and Officer (President 2002-03) of the Sarasota County Bar Association and Director and President of its Young Lawyers Division. He served as chair of the Estate Planning and Probate Section for 2013-14. He received the “C. L. McKaig” Award for distinguished service to the Association and the Florida Bar President’s Pro Bono Service Award in recognition of his services to the indigent. Mr. Scheb is a member of Incarnation Catholic Church and his community activities include serving as a Director and Officer (President 1994-95) of the Boys & Girls Clubs of Sarasota since 1989. He is a member and served as Director of the Kiwanis Club of Sarasota and has served as Director and Officer (President 2000-01 and 2008-09) of the Kiwanis Foundation and is a graduate of the Chamber of Commerce “Leadership Sarasota” program.